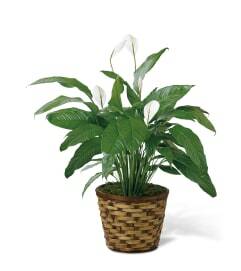 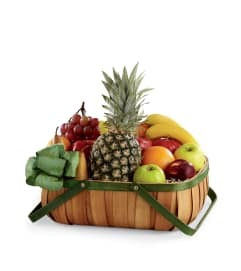 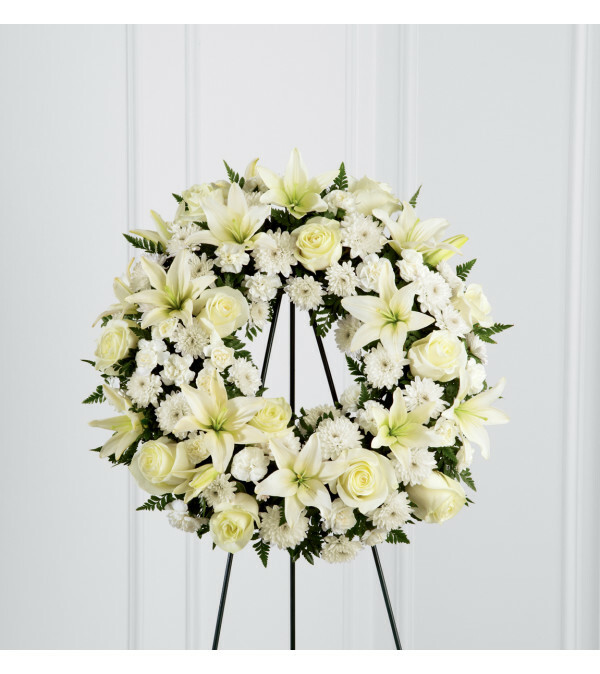 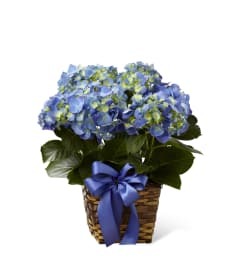 The FTD® Treasured Tribute™ Wreath offers peaceful wishes of heartfelt sympathy with each delicate bloom. 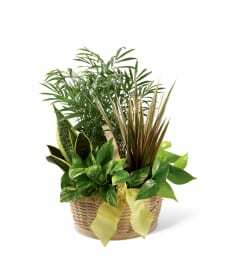 Bright white roses, Asiatic lilies, mini carnations and cushion poms are beautifully arranged to form an elegant accented with lush and vibrant greens. Displayed on a wire easel, this gorgeous tribute is a wonderful symbol of eternal life and sweet serenity.